Swing blocking in volleyball: Who should, who shouldn’t? 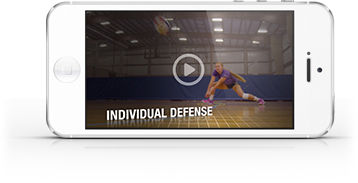 UCLA women’s volleyball coach Mike Sealy explains in this video how coaches can decide which players on their team should swing block and which shouldn’t. One criteria is body control. A player who can swing block and remain balanced is a good choice, but when players are less stable in their movements – sometimes, the taller they are, the harder a time they have controlling their bodies – are often better off sticking with a standard block. Another factor is whether players can execute the swing motion and still penetrate over the net. This is very important, Sealy says. As a blocker, if you don’t penetrate, it doesn’t matter that you’re getting more height on your jump with your swing technique; the block isn’t effective if your arms aren’t over the net. Here’s what Sealy and Oregon State women’s coach Terry Liskevych have to say about how you can make swing blocking and blocking in general work for your team.